DAVID LE/Staff photo. 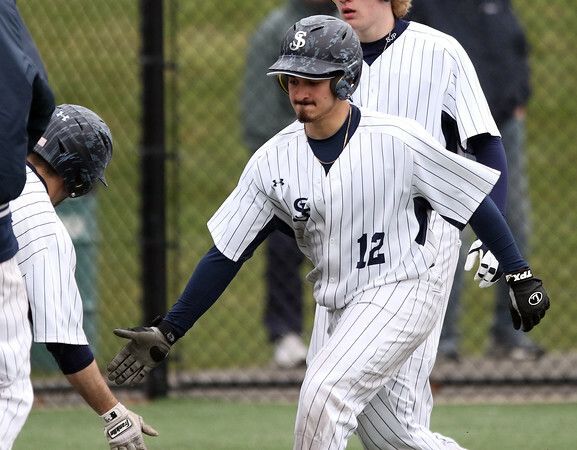 St. John's Prep junior Frank DiOrio gets a low five from a teammate after scoring the Eagles' 10th run of the game against Peabody. 4/8/16.